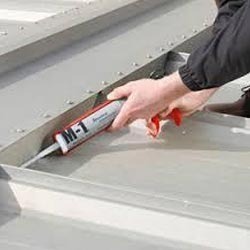 We are recognized in the industry for trading and supplying optimum quality Structural Adhesive that issued for glass, ceramics, bonding metals and ferrites. 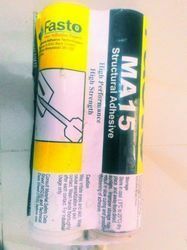 For total satisfaction of our customers, we are instrumental in providing an excellent quality range of Structural Adhesive to our clients. This Structural Adhesive is perfect choice for applications that requires bond of high strength but with slow setting time. Besides, these products are easy to apply and are low in prices. Methacrylate adhesives make impact-resistant, structural bonds on metal, plastic, composites, and wood. Composed of two liquid components that require mixing before application (1:1 ratio), SmartAdhesives methacrylates cure quickly, provide high peel and shear strength, handle temperatures ranging from -40F to 350F, and are chemical resistant. Our methacrylate adhesives come in convenient cartridges with a mixing nozzle for easy storage, use, and disposal.